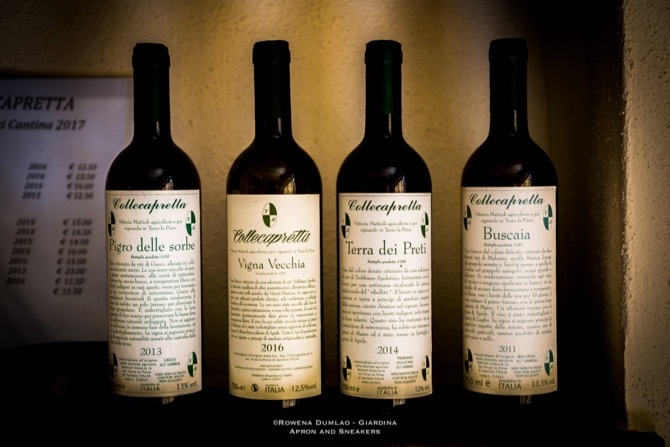 Collecapretta sits 500 meters above sea level on the peak of Monti Martani in Spoleto where the Mattioli family has been farming for three generations. 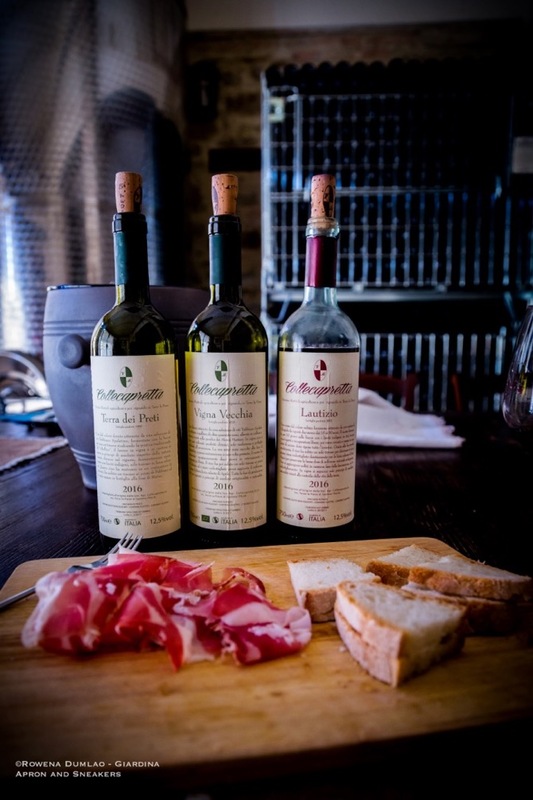 At present, Vittorio, his wife Anna, and his older daughter, Annalisa are the core of the winery. Their son is an architect who designed and built the new winery and he gives a hand when needed as well as the youngest daughter. They cultivate grains for their consumption as well as feeds for the animals which they also breed. It's a full functioning farm where they produce prosciutto, eggs, cheese, olive oil and of course wine. The wine they were selling was vino sfuso, a more affordable wine that's tapped from the cask straight to your own container. 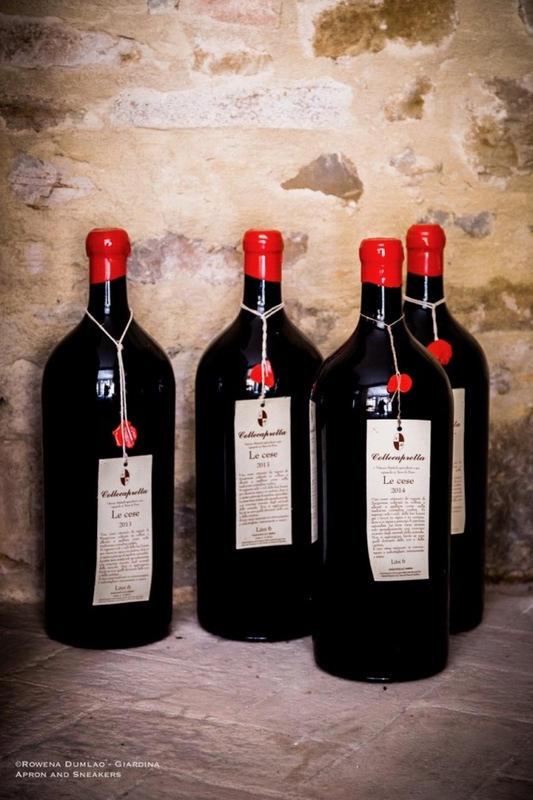 The affordability of vino sfuso not only goes to the fact that they are unbottled but also for the quality of the wine which some would say is not superior enough to be bottled. 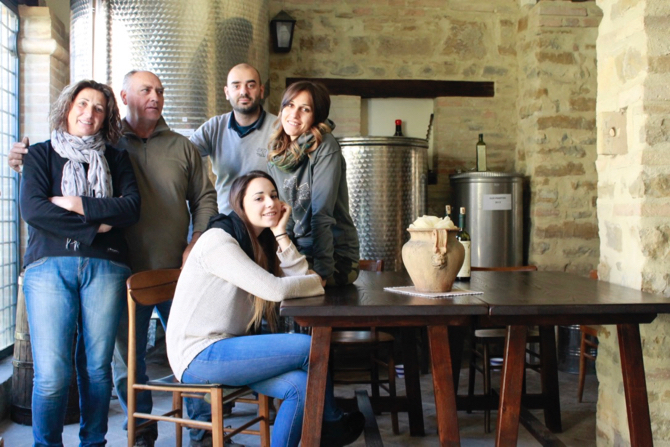 But in Collecapretta's case, there is a beautiful success story behind their vino sfuso. In the words of Anna, while guiding the wine tasting, she opened the door to the story of the triumph of vino sfuso to an important name in the wine world. 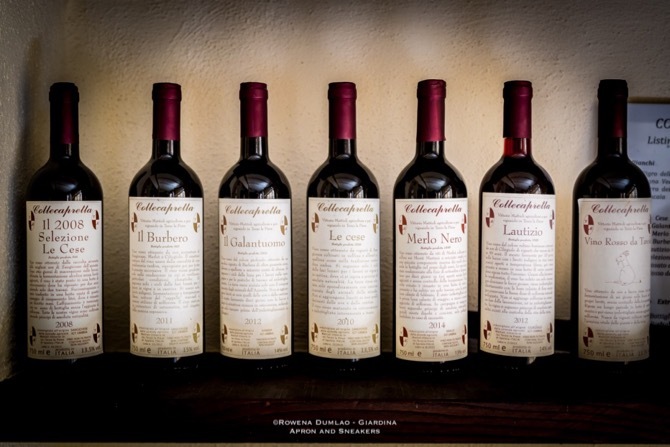 Just a few years ago, in a celebratory mood, she and her husband decided to invite their friends and usual clients of their vino sfuso and for fun, they also decided to bottle some of their wines with computer-generated print out as the labels to give as gifts to their friends. A wine expert who tried the wine that day advised them to seriously bottle their wine because it's very good. They did and the orders started pouring in. Then orders for exports happened with France as the pioneer. It's been five years, the winery has branched out to another modest building in the compound of the property and the demand is still high. The Mattioli family still maintains the quality they had started with. They respect the natural cycles and they don't use herbicides nor pesticides on the vines. 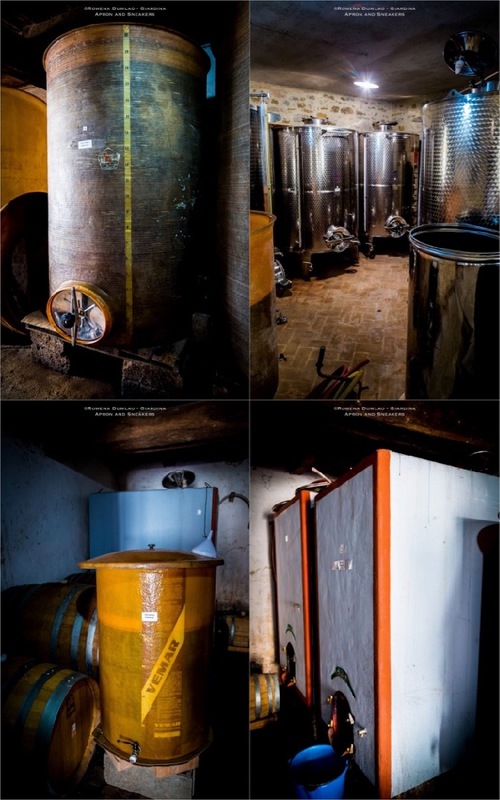 The wines ferment and age in cement fiberglass, resin fiberglass and stainless steel tanks. With their commitment to staying natural, spontaneous fermentation is carried out with no control of temperature and they don't add sulfur in the bottling. 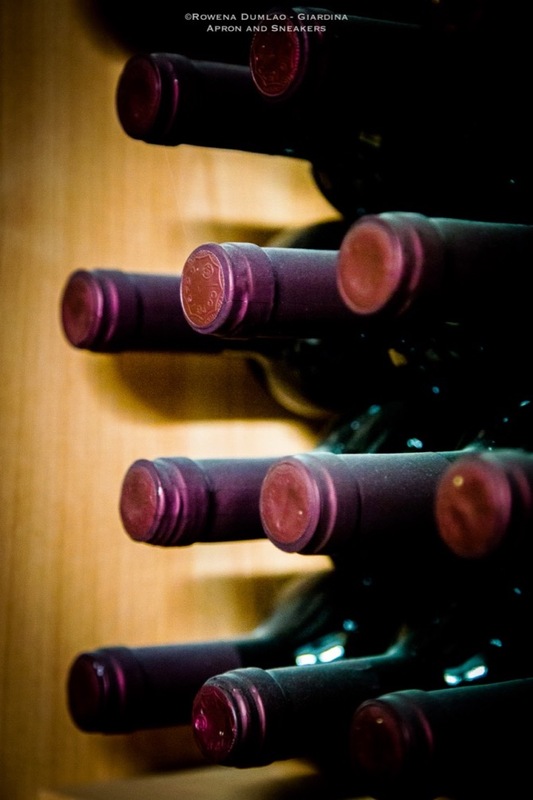 The racking of the wine is based on the lunar cycle and they rely on the rigors of winter to make the wine clear. That is Collecapretta as clear and natural as they can be. Of the eleven wines that they produce, I tried three of the 2016 vintage along with the prosciutto that they also produce. 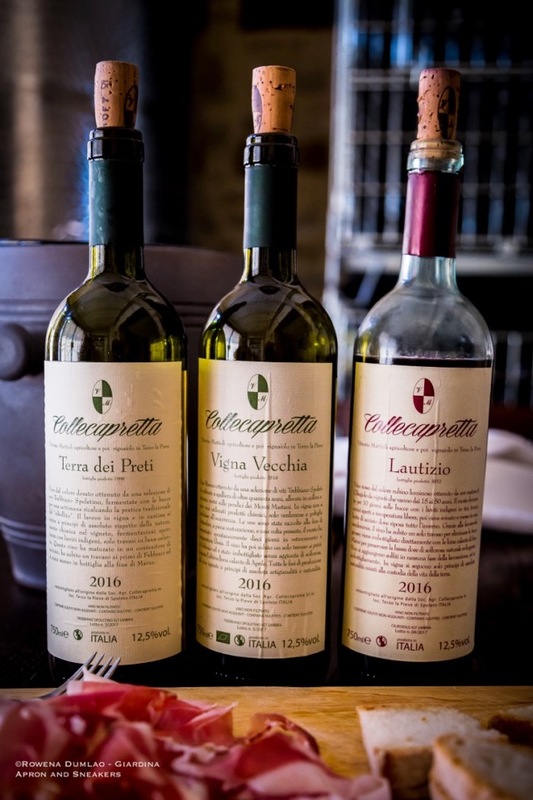 The wines are Terra dei Preti and Vigna Vecchia, both of Trebbiano Spoletino grapes but with diverse vinification processes, and Lautizio of Ciliegiolo grapes. 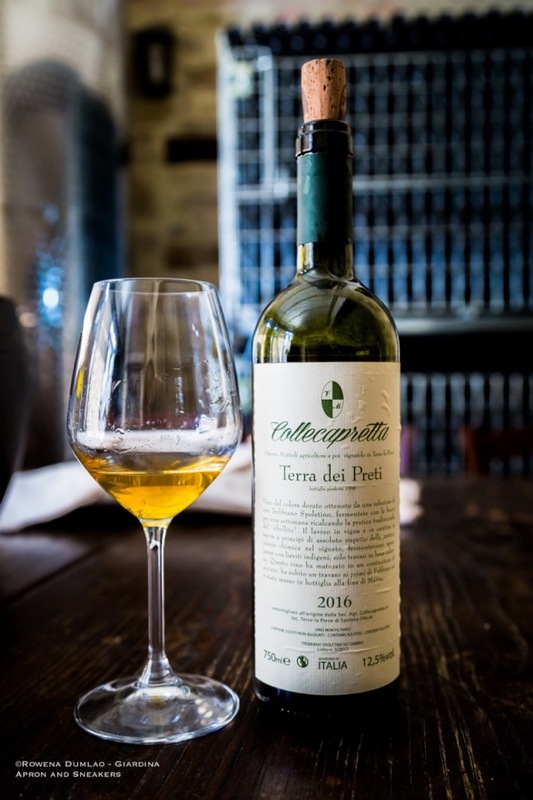 The Terra dei Preti Trebbiano Spoletino 2016 is white wine vinified as red wine with more than 10 days of maceration with the skins. Its golden color owes it to the long skin contact. The wine opens to a complex group of aromas with lots of herbs, spices and mature fruits and as you taste it, the flavors are dynamic with mature fruits, herbs and a bit of ethereality. The freshness and sapidity are prominent in the palate as well as a good structure. The grapes come from 60-year old Trebbiano Spoletino vines and the wine aged in vitrified cement containers before being bottled. 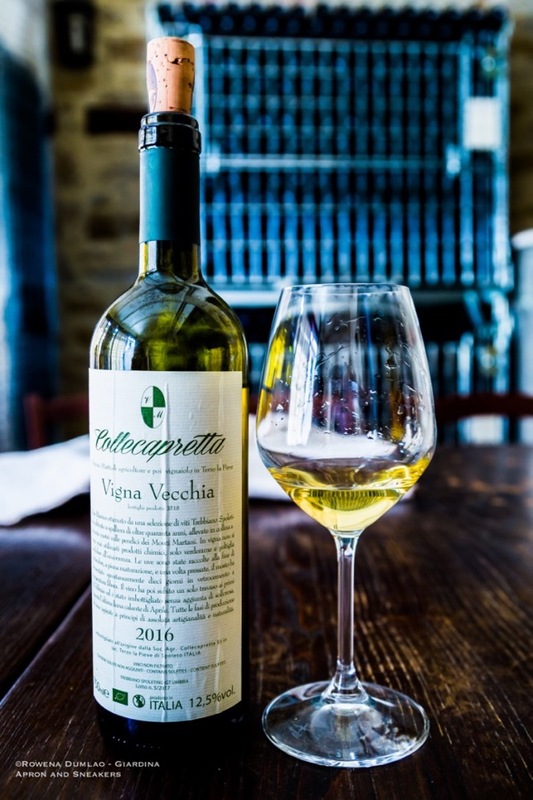 Like the Terra dei Preti, the Vigna Vecchia is also from 100% Trebbiano Spoletino coming from old vines. Straw yellow in color with lots of herbs, minerals and tropical fruits both to the nose and palate, as well as saline. With this wine you get to know the qualities of this native grape well. 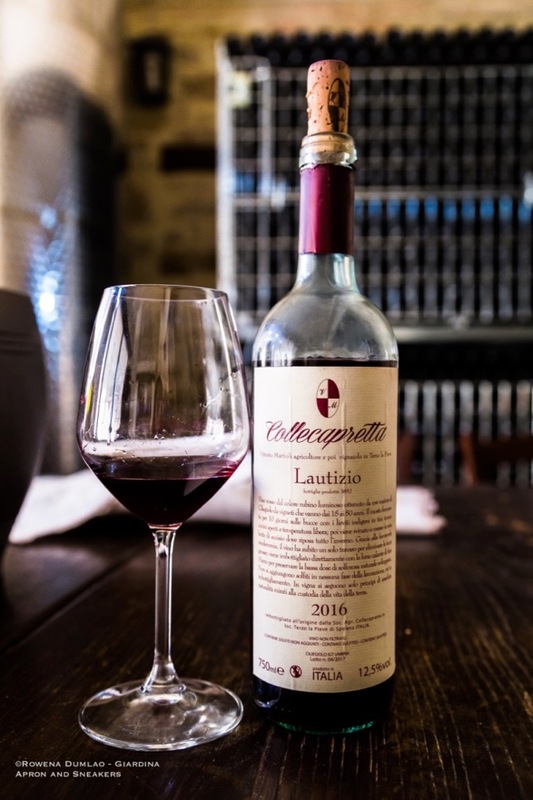 Ruby red in color, Lautizio is made with 100% Ciliegiolo grapes from vines with ages ranging between 15 to 50 years old. Maceration of 10 days with the skin and was aged in cement containers the whole winter before being bottled. Dominance of ripe cherries, as the name of the grapes suggest with spices and berries. It has a medium structure with a pleasant freshness and drinkability.